Sharman Avionics are proud to announce that we have been appointed a Cobham HeliSAS autopilot and Chelton EFIS display UK authorised distributer. Our team of experienced licensed avionics / autopilot and turbine helicopter engineers will continue to work hard in providing a quality affordable service to all of our new and present customers. 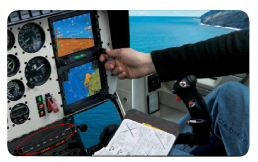 Cobham has pioneered another technology breakthrough with the HeliSAS Stability Augmentation and Autopilot System. Now the tremendous safety and workload reduction advantages of stability augmentation - once reserved for military or large commercial helicopters is now available for light to medium category helicopters. The HeliSAS stability augmentation system is designed to be engaged at all times "SAS on" before takeoff and "SAS off" after landing to provide unmatched stability and ease of handling. It dramatically reduces pilot workload while providing precise control during all modes of flight, regardless of wind conditions or shifts in weight. The attitude stabilization and force feel features enhance handling characteristics and mitigate inadvertent cyclic control inputs that could result in dangerous attitudes. 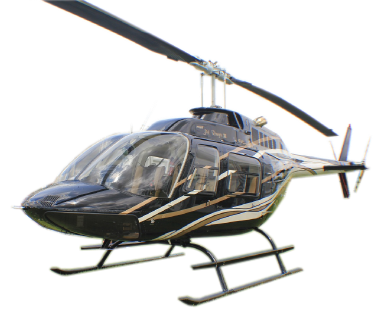 The pilot may lose visual reference due to limited visibility conditions, releasing the cyclic causes the helicopter to automatically return to a near-level attitude. With HeliSAS Autopilot and Stability Augmentation System, Cobham sets a new standard in helicopter safety. Hands-off flight while maintaining heading or navigation course and attitude - even during turbulent conditions. Dramatically reduced pilot workload while providing precise control during all modes of flight, regardless of wind conditions or shifts in weight. "Force feel" (force trim) enhances handling characteristics and mitigates inadvertent cyclic control inputs that could result in dangerous attitudes. Pre-set attitude retention limits in the HeliSAS prevent inadvertent cyclic inputs that could result in an unusual attitude. Auto recovery enables pilots to quickly and automatically recover to a neutral attitude simply by releasing the cyclic. Greater confidence in situations like whiteouts or brownouts where a pilot may lose visual reference...the HeliSAS is invaluable in maintaining correct attitude. Full autopilot functions including heading, altitude hold, NAV, VOR intercepts, GPS intercept, Localizer backcourse tracking, glide slope intercept and tracking, VNAV, and more.